How Not to Tow Your Vehicle? Hiring an unprofessional for your vehicle towing may get you in trouble. Watch this towing fails, how not to tow your vehcle. You might have heard about towing companies. But may be confuse about what they people do, Right? Basically towing companies’ help when someone get into vehicle break down and stuck in the middle of the road. Towing companies play a key role in getting people back to their home when they are into vehicle breakdown. Everyone does not expect any car break down when they travel. But the breakdowns happen due to misfortune or bad luck. You may be expert in resolving small breakdowns such as tire change or battery boost. But some of breakdowns like road accidents and mechanical problems into cars cannot be resolve without help of a towing company. So it is a good idea to have a number of a towing company in your cell phone directory. The towing companies not only help you in towing vehicle from one place to other place, but even help you with instant support and help that gives peace of mind. Tow Big and Heavy Weight Material: Apart from towing vehicles, the towing companies also help in pulling heavy weight materials and tow them with flat bedded trucks. Most of towing companies use occupational health and safety. Relocation: Each year, many people relocate their homes and businesses from one place to another. They even hire moving and packaging companies for their relocation. The moving and packaging companies hire towing companies to pull heavy wardrobes, beds and dining tables. Tow Cars from and to the impound lots: In US and Canada, the most towing companies are called by house owners and police to take the illegally parked or abandoned vehicles from and to the impound lots. Recover Four Wheelers: Most of us use four wheelers for traveling. Our Four Wheel Drives may get breakdown; they may be stuck into mud and an accident, they also may fall in rivers if someone lives in hill areas. The towing companies also help in recovering vehicles from mud and accidents. Regardless of waiting for someone’s help, just call the nearest towing company to getting back to the road. If you are living or visiting in Calgary or its surrounding areas and need a help, you may call us. We are 24/7 hours available and just a phone call away. We all know the vehicle breakdowns are the most incredibly annoying inconvenience that can waste too much time and money. But, do you know why these breakdowns occur? It may be happen due to poor maintenance and driving skills. At Kwick Towing, due to number of models and complexity of cars, we have been deal many different vehicle problems. While dealing the customers at Kwick Towing, we addressed the top 10 most common causes of vehicle or car breakdown. With reading this post, you will be able to avoid vehicle breakdowns. Using an Old and Faulty Battery: If you are using an old and faulty battery, it can be cause of car break down any time. To prevent car breakdown with battery, we need to do these things. Fuel: Running out of fuel is the fourth of the most common issues of car breakdown. It can happen any time with you. This issue is most probably caused due to UN-responsibilities so to prevent this issue you must keep your eyes on fuel gauge. Sometimes, in hurry, we forget about it and get this problem. Every year thousands of people face this problem. So we recommend have an extra fuel can in your car for these type of emergencies. Overheating: Engine overheating is the fifth of the most common issues of car breakdown. There are many causes that can overheat a car engine like stuck thermostat, leakage in cooling systems, clogged radiator, faulty water pump and cooling fan. To prevent overheating keep maintain your car on time. Electrical Faults: The failing of electrical components are the sixth of the most common issue of vehicle breakdown. It can be occur from poor maintenance of car battery and wiring. Only a timely Maintenance can prevent it. So these are the most common problems that can cost a lot of time and inconvenience while you are going to anywhere with your car or other vehicle. In Calgary and Its surrounding area, if you are facing any cause of vehicle breakdown, you may call us at (403) 542 9211. Well, everybody thinks that towing a vehicle is adventures and fun. But it is not. It needs a practice and an experience. Towing can be a need for any one and any time. Everybody gets vehicle breakdowns in his life. And people often make mistakes while hauling a vehicle and get costly vehicles damages. Through this post, Kwick Towing team is going to share some common mistakes that people often do while towing a vehicle or a trailer. Here are the mistakes that you should avoid while towing a vehicle, it will help you in preventing costly damages. So read it before towing a vehicle. Weight Distribution: -Wrong weight distribution is the second mistake that people often make. If you have a wrong weight distribution between your tow vehicle and trailer, you may get bouncing between both vehicles and it can damage your hitch and frames of trailer.What to do: You should maintain the weight in your trailer. It should be managed. Check Your Brakes: -Brakes play an important role in every vehicle. These should be checked on daily basis. Especially, before towing a vehicle. Keep Moving Slowly: – Driving too fast is one of the biggest mistakes that people often do while towing a vehicle or trailer. They don’t know it can damage both vehicles. Because, their trailer has no brakes and drive. It can be move anywhere or hit anybody if you drive too fast. We all know that tortoise always win the race. So why do hurry. Especially when you are hitching another vehicle or trailer. So, we recommend keep moving slowly. Check Pressure in Tires: – Before hauling, you should have a look on tires pressure. If you have a low tires pressure, your vehicle’s engine may be over heat. So check your tires pressure regularly, it is highly recommended. Check Your Mirrors: Mirrors play a key role in maintaining distance between both vehicles and driving safely. These will help you in keep eyes on your vehicle’s back as well as sides of vehicles. So, these are the some common mistake. We recommend you to read before towing a vehicle or a trailer. In every profession, you will find many sellers, competitors and services providers. But the challenge is how to choose best one who will give you the best or provide you affordable but qualitative services. It also applies in towing profession. When you are facing a vehicle break down, at that time, you have to face many challenges while choosing a right towing company who will help you in resolution the breakdown. Through this post, we are going to guide you about how to choose the right towing company. Do they tow your vehicle without scratch? Ask about prices, their towing vehicles and experiences? Do they serve the area where your vehicle got breakdown? Do they follow OSHA safety? When you have built an index of questions, you can call and get answers. Read Reviews Online: To confirm, the Towing Company is reliable or not? You need to search on Google by using this term. “Company Name, City – Reviews”. For example: Search “Kwick Towing Calgary – Reviews”. It will help you to see the company’s positive and negative feedbacks from other users. 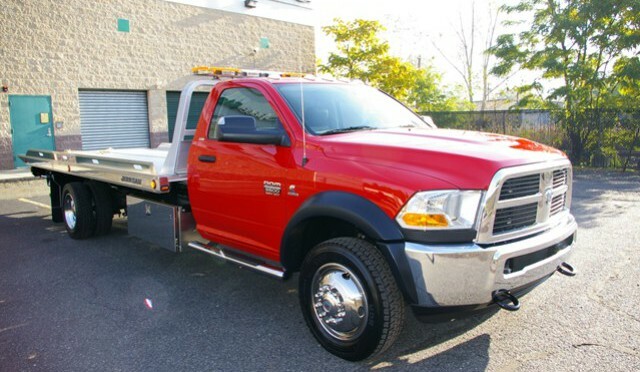 What are the things you should measure before hiring a towing company? Towing Charges: Before going to hire a Towing company, you should analyze that the towing charges should not be more than represented. Timing: You have to see, the towing truck come on given time or not. Tools and Equipment: You have to confirm that their tools and equipment are neat and clean or not. If it is not, please don’t hire them. Operator’s behavior: You have to measure operator’s behavior towards vehicle. If you don’t do this, they may put scratches in your luxury vehicles. Licensed Driver: You have to make sure that Tow Truck Drivers must have license. You have to check this yourself. So these are some major points that help you in finding and hiring a Towing company. We will post about vehicle winter care tips in our next post so stay tuned with us. We guarantee for safe and scratch proof towing. We guarantee for lowest cost towing in Calgary, Alberta area. We guarantee for on time arrival. We guarantee for friendly and professional service. 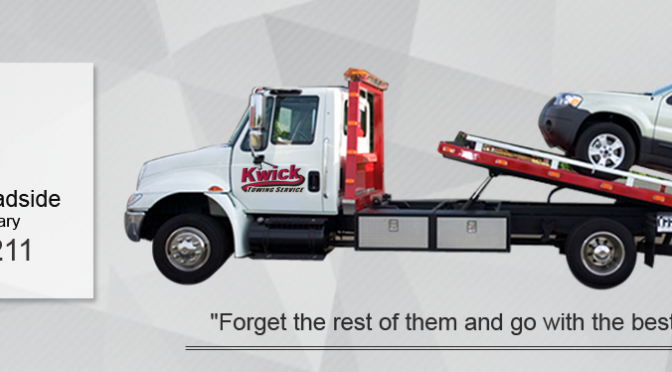 It was a great experience with Mr. Sukh and his team, the owner of Kwick towing Inc. The service was so amazing, fast and affordable. The team was also friendly, I recommend them to all. I really appreciate the work that they had done for me. I was going to pick my baby from school. And I got my car punctured in middle of the way. I called Kwick Towing. One of their team members came in approx 15 minutes and gave me spare wheel. In about 10 minutes, I got back to road. Thanks to them. I just want to say they are amazing. My car was stuck in mud near the Conrich. Kwick Towing team planned about the recovery process. In about 30 minute, they delivered it to me at nearest car wash center. I recommend them. Great customer service, the owner of the company mr. sukh is also nice person. I needed to go to Calgary at 4.00 AM. And I found that my car was not starting up. I was in hurry and could not wait for taxi service. I called kwick towing and one of his team members came to me. He examined and found that my car had a dead battery. He recommends me to change it. But, I had no time to visit near automobile shop in early morning. Then, he gave me a temporary battery. I gave him back after purchase of new battery. He nothing charged me for battery rent. I recommend him to everyone. I don’t want to get my car towed from towing companies. Even, I hate towing companies. But, after meeting the Kwick Towing Inc team, I realized that towing companies are very help. My Mercedes had a mechanical problem. And I was standard at 27, willow vale. I called my friend to tow my car. But he suggested me to hire a professional then I called kwick towing, they did a great job in a small cost.